Damien and Jodie’s Reserve Shiraz will only be made in the finest years. For their first ever release they have selected the best fruit from an exceptional Hunter vintage. Matured in oak for 12 months to get great integration, it still displays amazing freshness of fruit. Bright red fruits, plums and spice jump out of the glass, all with an amazing savoury backbone. It’ll have you coming back for more! A wine of this calibre would normally sell for over $40 in the retail market. 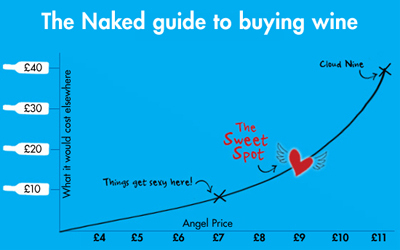 It’s a bargain for Angels at under $18. 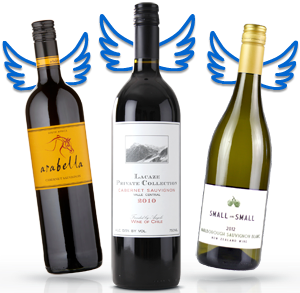 Angels, you won't want to miss this Shiraz! It throws an amazing array of aromas out of the glass. You will catch blackberries, red currants, Damson plums and the subtlest hint of very well-bred cedary oak. Any red lover in your life will want the chance to try this! Your tastebuds will stand up and pay attention to a palate that combines bold layers with soft tannins that hold together spicy pepper plums, warming alcohol and an assertive acid that will allow the wine to live a long and happy life. Hand-picked, hand-pruned, matured in French Oak and made in tiny quantities...don't miss getting your hands on the latest and greatest Shiraz to join the Naked family!